What Are New Homeowners’ Biggest Worries? Buying a home will most likely be one of the biggest decisions you ever make. The process is a huge investment in time, emotions, and resources. Getting your finances in order; getting preapproved for a loan; and working with a mortgage broker, a real estate professional, banks, and inspectors … the process can definitely can be daunting to first-time homebuyers. Once you’ve signed the papers and have the keys, the anxiety doesn’t necessarily dissipate. What comes next — actually owning a home — can come with some worries of its own, which is totally normal. Below are some tips to help new homeowners cope with what can feel like uncharted territory. You may have heard the term “house poor” before, and it’s a concept that new homeowners can find particularly worrisome. The new homeowner may be fearful that their new monthly and yearly budget will have shifts that won’t allow them enough money left over for other living expenses. Knowing how much home you can afford before starting the house-hunting process is key to feeling confident in your financial decisions. Truthfully, real estate terms and procedures can be confusing, even for the seasoned homeowner. For instance, you may get a tax statement in the mail and it looks like you owe a large chunk of money, but after having an anxiety attack, you realize that your taxes are paid out of your escrow account and that the document is just for your records. When in buying a home, the processing of paperwork and financial agreements can be done very quickly — so quickly you might not fully understand what’s really happening. Ask your real estate professional to break down the process in layman terms. And if you want to familiarize yourself with real estate terms and what they mean, MLS.com offers this helpful glossary. And what about property taxes? “The path to owning a home has a great deal of tax benefits and a discussion with your tax professional will help to clarify the details,” Certified Financial Planner William Slade told ABC News . Keep in mind that most states consider it illegal for a real estate professional to give tax or legal advice. A tax professional is highly recommended to help you navigate the waters of homeownership and taxes. No one wants to buy a money pit, which can come in all shapes, sizes, and ages. During the home-inspection process, most needed repairs should show up on the report, but perhaps not all of them will; problems may be hidden behind the (often redone) walls. In fact, shoddy work from a previous owner could end up rearing its head once you settle in. Learn as much possible about your home before signing a purchase agreement. Be thorough when reviewing disclosures and pest reports, then plan for what you can. Try to stay calm if an unexpected issue pops up. If you discover that your home does have a major problem (or problems), use your network — including your real estate professional — to find a reputable contractor or repair person. Not all changes go smoothly, but with a little sleuthing and information gathering, you can slide into your new home and community as comfortably as possible. Do your homework before you move in. Take a few test runs traveling to your office to get used to your new commute. Walk or drive around your new neighborhood and get familiar with the businesses you will soon likely frequent. For more tips or finding your dream neighborhood, check out this Pacific Union blog post. Introduce yourself to your new neighbors as soon as possible and consider joining a neighborhood group. Nextdoor is a good way to virtually meet others in your neighborhood and stay current on local happenings. Having — and being — a great neighbor can make all the difference to the new homeowner. Neighbors can also be great sources of information regarding home repair and local maintenance service providers. 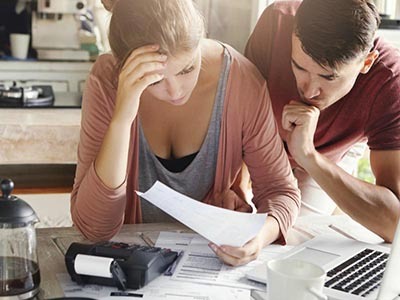 Worrying and anxiety don’t necessarily mean regret, although NerdWallet did find that half of homeowners would change some aspect of their buying experience. But entering the world of homeownership is quite exciting, so congratulations on your new endeavor and for making a great long-term decision!